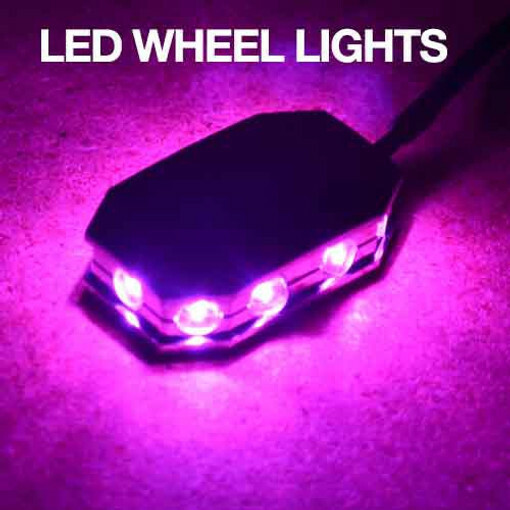 Our approach to wheel lighting is different from others who attach lights directly to the wheel using a special power connection unit. We find this approach has a high degree of installation difficulty and leaves a clutter of unsightly wires wrapped around your spokes. During the daytime the beauty of your wheel is lost underneath the attached strips of lights and bundles of visible wires. Our method is simple, clean looking and effective. You have to look hard to even see our small fixtures attached to the calipers. The black wire is attached to the brake lines as you run it back under your seat for a simple two-wire (single color) or four-wire (multi-color) connection to the remote control and/or switch. 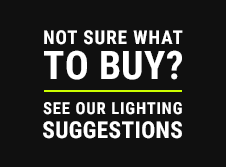 All Boogey Lights® kits are designed, assembled and supported in the USA!